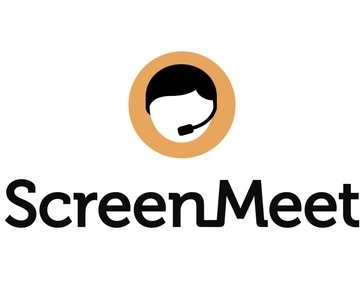 ScreenMeet is cloud-native, web-based screen sharing and remote takeover. Used by leading SaaS and mobile app developers, hardware manufacturers and IT help desks. "ScreenMeet Support is a great tool!" ScreenMeet Support is easy to use, and has been invaluable as a tool to assist users in the field with various issues. It has allowed us to not only troubleshoot, but to also provide additional training. With some users who are not very tech savvy it has greatly reduced the time and effort to assist these users. It would be helpful on occasion to have remote control of a user's device. Your ability to provide remote support to users in the field will dramatically increase. Technical support, troubleshooting, in the field remote training, preparation of training materials and product documentation. "The first Modern, SaaS version of remote support"
So simple to use. Elegant, totally web-based! Nothing. It's such an obvious evolution for the category. Take a long look at ScreenMeet before renewing with your existing vendor. I'm able to see my customer's devices quickly and easily. This means I can help them solve whatever issue they are having with their computer, phone or tablet and the software that is on it. I am able to do my job better and faster and solve the customer's problem more easily. Splashtop Remote Support is a VDI software tool that allows IT professionals to remotely access computers and assist users. * We monitor all ScreenMeet Support reviews to prevent fraudulent reviews and keep review quality high. We do not post reviews by company employees or direct competitors. Validated reviews require the user to submit a screenshot of the product containing their user ID, in order to verify a user is an actual user of the product. Hi there! Are you looking to implement a solution like ScreenMeet Support?